No printing costs, no postage to pay for, instant delivery to your customers 'inbox', targetted search driven advertising, or simply promoting a new product, service or news item - online marketing is rapidly replacing traditional direct marketing campaigns, such as mail shots and print advertising, as the preferred way to reach new and existing customers. It's biggest advantage? Online marketing is fully trackable. Email marketing is a very cost effective way to drive traffic to your website, build customer loyalty, increase brand awareness, notify customers of speacial offers, new products or services and ultimately - increase sales. Email marketing involves sending dozens, or even thousands of HTML emails which are content rich, full of attention grabbing images and links to specific areas of your website and of course, your sales message. HTML emails are delivered directly to your customers email 'inbox' and within minutes of sending out your email campaign you can start tracking responses, enquiries and orders. You can also time your email marketing campaigns to deliver your message at the time you feel your customers are most receptive, for example on a weekday lunchtime or over a weekend. Email campaigns are fully trackable, with up to the minute statistics. You can easily test which message generates the best response and alter your campaign accordingly for the next time you send your campaign out. This is a great way to promote your website, offering instant results which are fully traceable and measurable. As with any marketing activity, it is vital that each campaign is targeted at the relevant international markets using the right keywords, selling messages and landing pages. Pay Per Click Advertising is a very powerful tool and we can help you with every stage of the preparation, setup and management of your campaigns. Get the most out of blogging. Regular blog posts are a very valuable and effective way of promoting your products and your services to existing customers. Successful blogs are optimised in much the same way as your website and attract new visitors and customers too. At Creative Heights, we brand your blog to reflect the look of your website, or we can even brand it to promote a specific product or service you wish to market online independent to your website. The content of each blog post is fundamental to your blog's success. You do not need to be a professional blog editor to write successful blog posts as our team can assist you with how to structure your blog posts and help you write content which will be of interest to your current customers and potential new customers. ..on how online marketing can help you attract new customers, please contact Creative Heights. 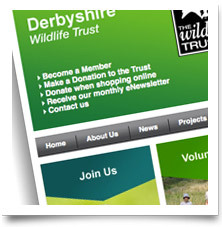 Our E-newsletter is received by over 2,000 members each month. Creative Heights assist with compiling the email list & content editing, offering an extremely professional email service.